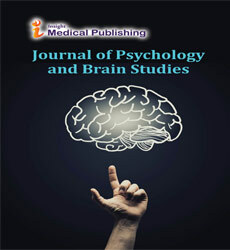 Journal of Psychology and Brain Studies publishes original research articles of outstanding medical importance. We will consider manuscripts of any length; we encourage the submission of both substantial full-length bodies of work and shorter manuscripts that report novel findings that might be based on a more limited range of experiments. Publishing with open access is not without costs. Journal of Psychology and Brain Studies defrays those costs from article-processing charges (APCs) payable by authors onces the manuscript has been accepted for publication. Biomarkers Journal does not have subscription charges for its research content, believing instead that immediate, world-wide, barrier-free, open access to the full text of research articles is in the best interests of the scientific community. The basic article processing fee or manuscript handling cost is as per the price mentioned above on the other hand it may vary based on the extensive editing, colored effects, complex equations, extra elongation of no. of pages of thearticle, etc.